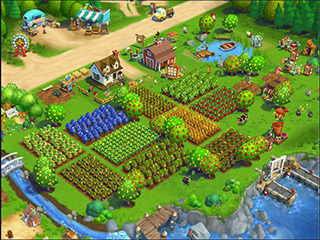 Farmville is back and available outside of Facebook! This game is awesome and absolutely revolutionized the way people look at computer games by allowing you to maintain a customized farm with your friends. There has been an entire genre of social networking video games to follow after Farmville, and now an improved version of this classic is available on Google Play in FarmVille 2: Country Escape. There’s a lot of liberty with playing this game. 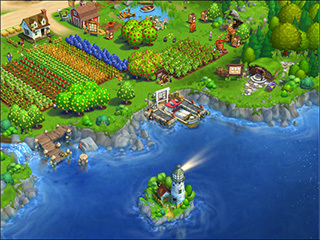 You are allowed but not obligated to connect this version of Farmville up to Facebook. The download and gameplay is free, but you can choose to make purchases in the app that range from $0.99 to $99.99. Zynga Inc and its partners are likely to invite you to participate in special offers, events, and programs as well, but once again, all of that is optional. You’ve got full control in how this game turns out for you. In case you’re not familiar with the Farmville franchise, it is really neat. You have a farm and a little farmer that you control. You get to plant crops and harvest them when they’re ready. In this more modern version, you can even raise animals and bake gourmet goods with your harvest. There’s even fishing, exploring, and a storyline in this game. This is the best game of the entire genre. It has a great combination of classic game feel and cutting edge additions. Six out of five stars! Play it now.